It is often said that the kitchen is the heart of the home, but our team at Irish Heating and Air begs to differ. We know that without a working furnace or air conditioner, your home quickly becomes unlivable. Either too hot in summer or too cold in winter, a home that is not kept at the optimum temperature makes life hard on its inhabitants. Our Stockton heating and air conditioning team has made it their priority to keep your home comfortable during all seasons so that you can focus on your day to day tasks without breaking a sweat or hibernating in bed all day for warmth. Call us today for an introductory furnace inspection! If you have a furnace, chances are we know how to fix it. Don’t wait – call us today. In need of furnace repair in Stockton? Our team is available any time night and day to repair your furnace. We can fix leaks, change air filters, check electrical components, and more to ensure that your eater is running full speed ahead. Think that you furnace is beyond repair? If we aren’t able to fix your heater, then we’ll gladly help you choose a newer model. Whether you choose an electric or gas powered furnace, we’ll help you stick to your budget while also getting a higher efficiency model that saves you money on your monthly bills. We’ll even install the new furnace for you. 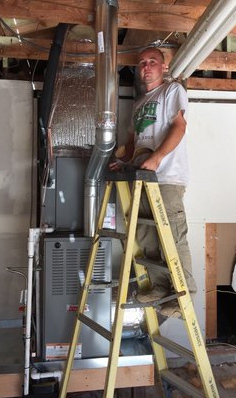 Next time your furnace breaks down, call our Stockton furnace repair time first. Are you looking to spend tons of extra cash on your furnace? Do you jump for joy when your air conditioner stops working in the middle of July? Yeah, we didn’t think so. If you want to avoid costly repairs and ensure that your furnace or air conditioner stays working all year round, then we highly suggest that you enroll in a preventative maintenance plan. 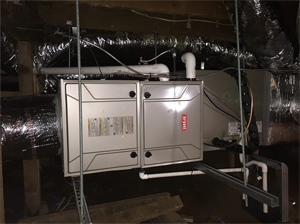 Our technicians can service your furnace on an annual, bi-annual, or quarterly schedule in order to ensure that it stays in good condition for its entire lifespan. Don’t cut corners when it comes to your home – call Irish Heating and Air for all of your Stockton heating and air conditioning needs. Learn more about our furnace maintenance and air conditioning maintenance, or get started today.